Another large non-endemic brand made an esports splash in late 2017. 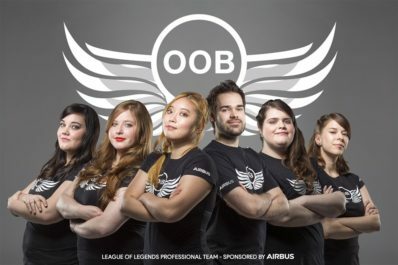 This time it was Airbus sponsoring ‘Out of the Blue’ (OoB) – an all female League of Legends (LoL) roster. An esports investment by Airbus – a multinational brand that generated €67 billion in 2016 – is notable enough. The decision to create a completely new roster, which won’t compete in the LCS, is equally unexpected. While the ill-fated Team Siren provides a valuable lesson. OoB represents a unique opportunity to communicate with female demographics of the world’s top esport title. 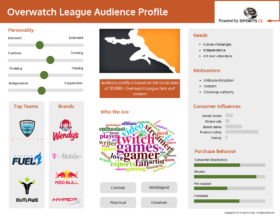 To shed light on this segment, we used our eSports iQ platform to create a predictive model of English-speaking, female audience members (source: 1,000+ social media users). Female fans are decidedly more friendly to brand marketing. For instance, 59% are open to online ads, compared to just 13% for the overall LoL esports audience. Team sponsorship can be a strong marketing vehicle. The influencer index for popular teams – e.g. 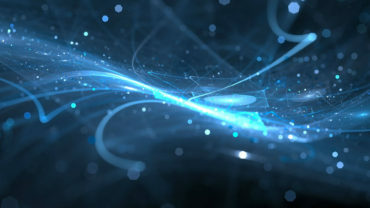 Cloud9, SK Telecom – is 88% greater than average. Non-endemic brand communications will benefit from aligning with overlapping interest categories like anime and cosplay. Compelling content can live outside Twitch. 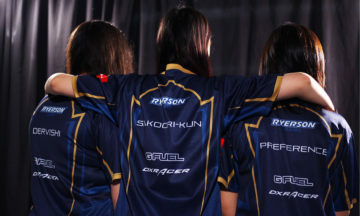 44% of female LoL fans regularly use Instagram and Twitter. Personalities like Ryanne “Froskurinn” Mohr and Eefje “Sjokz” Depoortere already yield more influence than some pro players. As Riot Games adopts more sponsor friendly policies, brands like Airbus should explore these relationships. Traditional sports marketing already grasps the impact of female fans. Esports should be no different. And not just because diversity and inclusion are good things. More specifically, women, who are passionate about games like League of Legends, are good for business.